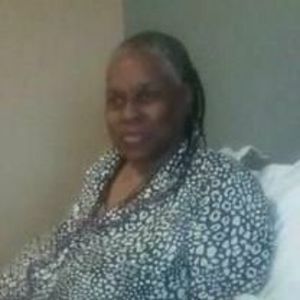 MINT HILL- Shirley C. Caldwell, 75, died at her home on Saturday, November 25, 2017. Formally of Statesville, she was born on July 27, 1942 to the late Amos Caldwell and Maggie Littlejohn Caldwell. She worked as a CNA and did private duty health care in New York, Statesville, Mooresville and Mocksville. Before her declining health she enjoyed shopping, cooking, eating out, plants and collection of stained glass. Shirley was very selfless and had a deep rooted concern and care for people always giving and helping others. She had a great talent of making others feel good about themselves. In addition to her parents she is preceded in death by husband, Curtis Johnson; two sisters and two brothers. Shirley is survived by one daughter, Jamillah Caldwell of Mint Hill; sister, Helen (Jerry) Davis of Cleveland; five grandchildren, Shaquenah, Shameelah, Sharife, Faye and Tony; six great-grandchildren; special friend, Ethel Gaither and a host of nieces, nephews and friends. Service celebrating Ms. Caldwell will be held in the Westmoreland Chapel at Bunch-Johnson Funeral Home on Saturday, December 2, 2017 at 12pm. The family will assemble at the home of Helen and Jerry Davis after the service. The family would like to give a special thanks to Emma Hosrisberger, Meka Misenheimer, Takisha Tolbert, Christopher Peterkin and Audrey Spencer. Bunch-Johnson Funeral Home is honored to be serving the Caldwell Family.